After spending 1 full year in Southeast Asia, 4 months of that in Thailand, we have visited many areas, some even more then once. We have stayed in hostels, hotels, apartments, and condos. We like to have a nice mix good value with a decent level of comfort. Nothing fancy is ever needed, nor is it something we seek out. So this will not be a luxury compilation by any means. Clean, comfortable, and inexpensive...if that is what you are looking for then look no further. Set a mere 5 minutes from the airport, this is a perfect place to retreat after a long flight. Free airport transfer, large swimming pool, cold AC, on site restaurant, friendly staff, and good WIFI in the room were all pluses to this hotel. The bathroom was small but clean and sufficient. The only cons were a small menu at the restaurant and an overly chlorinated pool, both things that may or may not be improved. After spending 2 nights by the airport we were ready to move to a more centrally located area. 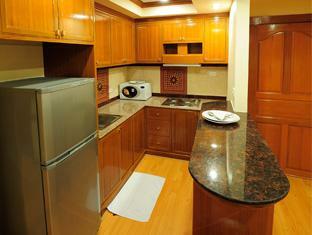 The Varindavan is a serviced residence apartment facility. They do offer a variety of room types, but we chose the larger 2-BR apartment for more comfort. 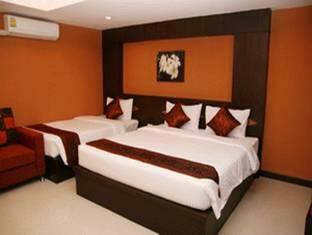 The rooms are spacious, clean, and had comfortable beds, cold AC and most importantly fast reliable WIFI. On site is also a wonderful and inexpensive spa, friendly staff available for tour set up, a cafe that did not seem to be open very often and great rooftop pool. The main drawback to the hotel is that it is not located within a real touristy area, so it was a decent drive to get out to some of the more popular areas. But taxis are really inexpensive in Bangkok, so a taxi ride out to the palace or Kao San Road was a mere $5. The staff was very friendly but they did really lag on getting things done when requested and several times we had to ask for something many times before it got done. When returning to Bangkok we really wanted to stay in a different area and be close to the train station. We decided on Chinatown and were not disappointed. This hotel is hard to find but when you do it is a perfect location. Right in the heart of Chinatown and 5 minutes to the main train station. Temples, fruit stands, markets, and even a large grocery store are all just around the corner. The rooms were not very large but the beds were clean and comfortable, ensuite bathrooms were very modern and clean, and the kitchenette was a nice addition when you just don;t want to drag everyone out for a meal. The AC was cold, too cold even, the WIFI worked well in the rooms, and the SAT TV had quite a few English channels if that is your thing. When trying to get a pool and an inexpensive room outside the old city we found our options were somewhat limited. The YMCA is a budget hotel that offers a pool, although it is far from the rooms, very cold, and offers no seating for observers at all. The rooms have AC and a TV with limited channels but a wonderful restaurant serving food day and night, with free breakfast. The beds were not very comfortable. The biggest downside was the Internet. It was on and off constantly and each device required a new password every day. It was inconvenient and made it hard to work. This was a decent option for a couple of evenings while we searched for a long-term option for a month stay in the city. We knew we would be staying in Chiang Mai for at least a month so we decided to find an apartment so we could cook and be a bit more comfortable. Hillside 4 offers many types of rooms but we stayed in a 2 bed, 2 bathroom condo. It was lovely. 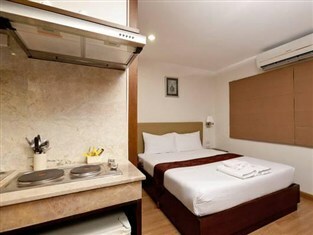 Clean and large rooms, very comfortable beds, and a nice kitchen. The bathroom was nice and even had a bathtub. Perhaps our favorite part was the balconies. We had a great view and they were both large and comfortable. We shared this apartment with another family who split the utilities which were extra. 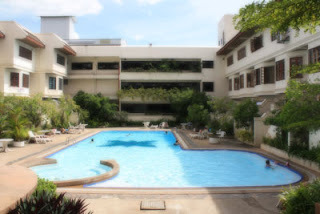 The complex had 2 beautiful pools, a nice gym, restaurants and a laundry area where you could have your clothes done for you or machines to use yourself. Many of the units are individually owned so check the boards in the basement and contact the owners yourself for a better rate. The WIFI at the hotel was very fast and reliable but we had to pay extra for each computer so be aware it will cost you $10 per month per device. The apartment also included SAT TV and 2 new flat screen TV's, as well as a washing machine. Set inside the old city the Libra Guesthouse was a great value for everything you need. 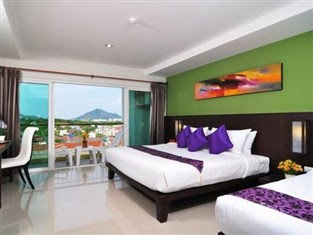 The hotel is set in a great location, walkable to the main gate, walking streets, and numerous restaurants and temples. The rooms are set back in a garden so you do not even feel like you are in town at all. The AC was cold but there was also a powerful ceiling fan. The WIFI was fast and reliable although the owners would only enter the password for you. We were warned it slows down and they have issues with it but we never experienced that and were even able to download movies while there. The bed was a bit firm but that seems to be the standard throughout Asia. The restaurant was great but seemed to close by 7pm which was a definite con in my book. 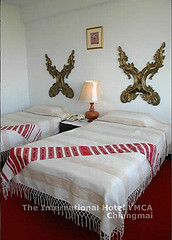 Otherwise the Libra Guesthouse was a great spot to stay for a great value. The river hut was perhaps one of the most basic places we have stayed so far. When we were there the hotel was still in the process of recovering from the floods that occurred 5 months prior. The location in regards to the actual city was not great, but it only cost $2-3 for all of us to get down to where the bulk of the ruins were. The nice thing though at least for us was that it was directly on a river. The staff was so incredibly sweet. They let us borrow bikes for the kids, fishing poles and even showed the boys how to fish. When they learned it was our oldest sons birthday soon they went out and bought a cake to celebrate with him. The rooms themselves were pretty basic but the beds were comfortable and the bathrooms were clean. It was a really cool set up and remains one of our favorite hotels we've stayed in even though they were rustic. It was hot so I would go with the AC rooms next time. We also had some issues with the WIFI reaching the rooms but they were working at about 50% functionality due to the floods. They told us normally it is no problem and the WIFI works in every room. Koh Samet has many options in regards to where to stay but it was basically what we paid or higher ON the beach or in town away from the beach for far less. Since my sister in law was visiting for her "vacation" we decided on the beach was best. 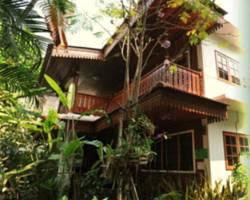 The location of Sawasdee Coco is wonderful for a family. Directly on the beach but at the far end so that there was no disruption from all the partying going on further down. Quiet and centrally located...how can you beat that? The rooms were basic and clean. The beds were very comfortable and the bathroom was large, clean, and came with nice toiletries. The WIFI worked in the room but not as well as it did out by the small restaurant. All in all we were very happy with the choice although we always prefer to pay less per night. Rattana Residence is by far the nicest place we have stayed so far! I still cannot believe the cost, and we got them down even lower because we stayed a few weeks. There was a small but very functional kitchen, living room with large TV, comfortable sofa, and a nice table and chairs. The bathroom was beautiful, sparkling clean with a large bathtub and a closed shower that did NOT soak the entire bathroom as is the case most times in Thailand. The bedroom was large with another huge TV, king size bed as well as a large single bed, numerous dressers and a large balcony. The location was not perfect and is most likely why the cost is so low but in my view it was worth it. 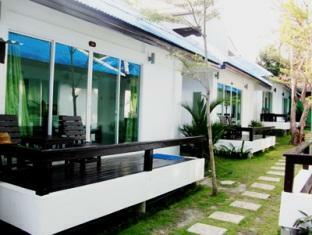 It is located between the main beaches and Phuket town. Taxis are expensive though, so cost was an issue with the location. Otherwise it was great. Lots of space, local restaurants around, laundry facilities, and motorbike rentals available on site, that coupled with the great room makes this place a top notch value! Pai was one of our favorite spots and part of that was due to the fact that the hotel we stayed in was so fabulous. Pai Chan was affordable, comfortable, and one of the friendliest hotels we have stayed in. We were given our own little slice of paradise set in the rice fields. A small cabin with 2 individual bedrooms separated by an open air large bathroom. The beds could have been more comfortable but they were not bad and the hammock set out by the swimming pool made up for it! It is a rustic place but clean and functional with loads of room for the kids to get outand run around. The outdoor sitting area was the best, comfortable lounge cushions and our own picnic table to enjoy breakfast and lunch from the great on site restaurant. Not the cheapest food in town but a nice opion when you want to stay in. One complaint was the electrical outlets. There were not as many as we needed, not even close, but we do recognize that we take up quite a bit of juice. The location was also wonderful, just outside of town so you miss all the late night music but close enough to walk in with ease! We like to book our hotels slightly in advance, in order to avoid the whole, traipsing through town with 3 kids and tons of luggage knocking on doors, so to speak. We use many sites like hostelbookers and booking but by far the site we use and trust the most is Agoda.com. We have also earned several free nights stay by signing up and earning points for every place we stay. You also have the choice to earn more points by giving a review, which is a great incentive so each hotel has many reviews. Check them out for your next trip, I am not sure what we would have done without them! What a handy list! I love the view from the room in Pai. Thanks, a friend of mine told me that she never see's hotel reviews anywhere so I figured after staying in over 35 hotels this past year I could put a list together. I will do a Malaysia one, and then a combined Laos and Cambodia one as well. 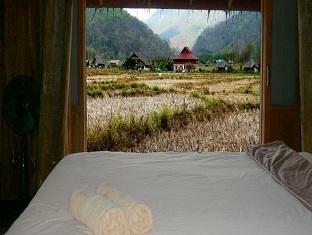 That Pai hotel is still in my dreams...we loved it there! For a big family it was just perfect! Great list. I want to go to Koh Samet - nice! They look wonderful. I want to come to one of those places also soon. Very nice! This New year I have plan to travel in Thailand, So This info will really help me in my trip also by this post Its very easy to find best hotel in Thailand,Thanks for sharing this wonderful post. I think it's a great idea to spend the vacation and wish to visit my every a vacation here. 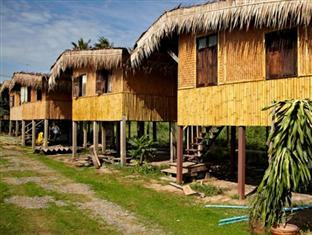 Ayutthaya River Hut is a prefect place to gain an experience to live in a hut. It's really a nice place to stay. Yes, we loved it there. The people were so lovely! We feel the same way. And many times a hostel with 5 people, since you pay per bed, is actually MORE expensive. Doesn;t make sense for us! Great list! We will be in Thailand for a month in March 2014 before heading down to Malaysia. We will have loads of island time during our 4 month stint in Malaysia and Thailand. Trying to decide if heading up to Chang Mai or Pai is worth it towards the end of March, when the hot season is coming on, in addition to the burning. I traveled there a few years ago, but it was earlier in the year. Traveling with a nearly three year old and wondering Beach or northern Thailand. We would only have 10 days and would prefer to be in one spot, instead of bouncing around. Any thoughts? We greatly prefered the North of Thailand. Pai in particular was our absolute favorite! I didn't enjoy the beach areas of Thailand all that much really. But with limited time you need to decide if you'd rather hat springs ad waterfalls or beaches. I have some other posts on the areas of Thailand and am happy to answer any other questions!